Architects and designers are involved in your project as much as you want them to be. Sometimes clients want “total design”. Sometimes, for different reasons, they want to choose materials and furniture on their own. Sometimes they want a functional solution for their space. Sometimes they want only an advice. What they never want, is to do the math. When working for our private clients, we constantly get phone calls with questions like: “I’m choosing tiles for my bathroom at the store right now, how much did you say I have to buy?” or “What’s the maximum width of the sink, I’ve just found the one I like, but I don’t know if it fits.” There’s always some little detail they can’t remember. Or never bothered to check out. We don’t mind clients asking us questions, but things can get pretty messy if we’re not at the office and we simply can’t look up for the information hidden somewhere among plans, explanations, dimensions, samples of materials, and lists of expenses. So either you worked with a professional only until a certain phase of the remodel, or you’re designing your space by yourself, chances are you don’t have an elaborated project to rely on, and apartment remodel can get pretty overwhelming. But only if you didn’t plan it right. To easily finish your remodel, you have to be amazingly systematic. Luckily, to be amazingly systematic is not really that hard. And not on your laptop. There’s a reason architects print out plans and drawings before building begins. Guess you could use some kind of a smaller device, but we suggest you use a notebook or a folder. Choose the one that’s practical for carrying around to avoid situations like finding the sink without knowing if it fits. It may sound old school, but there’s nothing better than a pencil and piece of paper. It’s still the fastest, simplest way to write things down, draw sketches, even hold samples of materials. Think of it as a remodel scrapbook. No matter how untalented draughtsman you think you are. You don’t have to produce amazing art. Just keep it simple and informational. A floor plan will help you figure out how many elements fit in your space. Outline the walls and place doors and windows. Use a ruler and try to draw to scale. One centimeter on paper for one meter in reality. It’s easy. Pay attention to dimensions of furniture pieces you want to buy and add them to your layout. Do they fit into your space? Are they too big or too small? Move them around your floor plan. Rotate them. Play with it for a while until you find the perfect solution. Depending on how deep you want to dive into your reconstruction, keep in mind positions of a plumbing system, gas, and electric installations. Those are extremely important in kitchens and bathrooms, but not unimportant in other rooms. A position of lighting fixtures might dictate a placement of seating area or dining table if you don’t want to deal with changes in electric installations. Don’t stop at layouts. We don’t perceive space as a layout but as a set of views. Draw front views, especially of a kitchen, closets or shelves. That’s a great way to create a specific place for each and every item you’ll eventually put against your walls. It may sound like overplanning, but it could save you so much time in the future – in the end, you’ll have a clutter-free apartment and you won’t buy anything unnecessary. You should check out our quick tips for closet design to see how helpful this step is. And the one where we explained how to design a practical kitchen. The amazing thing is: while drawing, you’ll remember to think about design – what kind of knobs you want, in case you want them, how high you think cabinet toe should be, or what colors and materials you want to use. You will realize what you need to do and what you need to buy. It will be so much easier to plan costs. If you don’t know how to start, you can follow our four step process to a home renovation. First, we identify problems, then we prioritize tasks, and after finding inspiration on websites of our favorite architects and designers, or on Pinterest, we start designing. List of expenses is the most important part. This is where you put down, in one place, everything you have to buy, the amount you need, even price, in order to have control in overall cost. It is always a good idea to set a budget for a remodel (even then everything seems to cost more than you expected) – and with the list of expenses, you can easily choose where you want to spend less and where it’s ok to spend more. 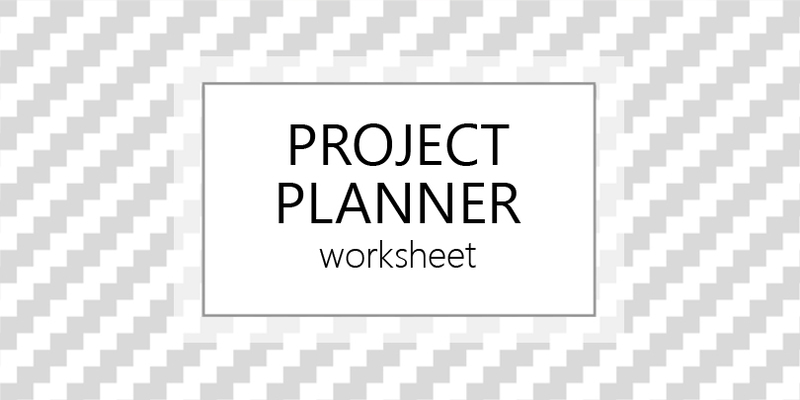 You can use our worksheet for this step, but don’t forget to put it in your remodel folder or glue it in your notebook. And don’t treat your plan like it’s finished. It is not finished until the remodel is finished. Some materials you chose might not be available. Or you’ll change your mind. Increase your budget or give up something. Changes and compromises are a big part of any project. This is even more true for remodels. As a rule remodels come with surprises. Tweet that. Let’s tell everyone how mean remodels are and how easy it is to predict and overcome all the traps and pranks they’re preparing. But you’ll have a simple but perfect plan, right there by your side, the moment you need it, won’t you? We would love to see photographs of your plans and lists on Instagram. Just use #upgradesign or tag upgradesign.blog. And oh! Ladies at Productive and pretty kindly published our ideas on planning a kitchen remodel in a bullet journal. Are you into bullet journaling? Or intrigued by that phrase and eager to find out more? A bullet journal is a great tool for organization, and you can find amazing tips on starting your own on their website. A good read, I totally agree with having some sort of design illustrations or sketches in hard copy, it may be the print or manual sketches. Everything during the process from conceptual to manifestation is so uncertain, the design and execution are ever going processes. Where sketches and such illustrations help to arrive either at a better decision or adjust the decision in the larger scheme. Moreover, they assist in documenting the work properly.